HNHH Premiere! Listen to a huge remix of Kid Ink's "Main Chick" featuring French Montana, Yo Gotti, Tyga & Lil Bibby. Kid Ink is back with a big remix for his main single about his main chick, hitting HotNewHipHop with the premiere duties. 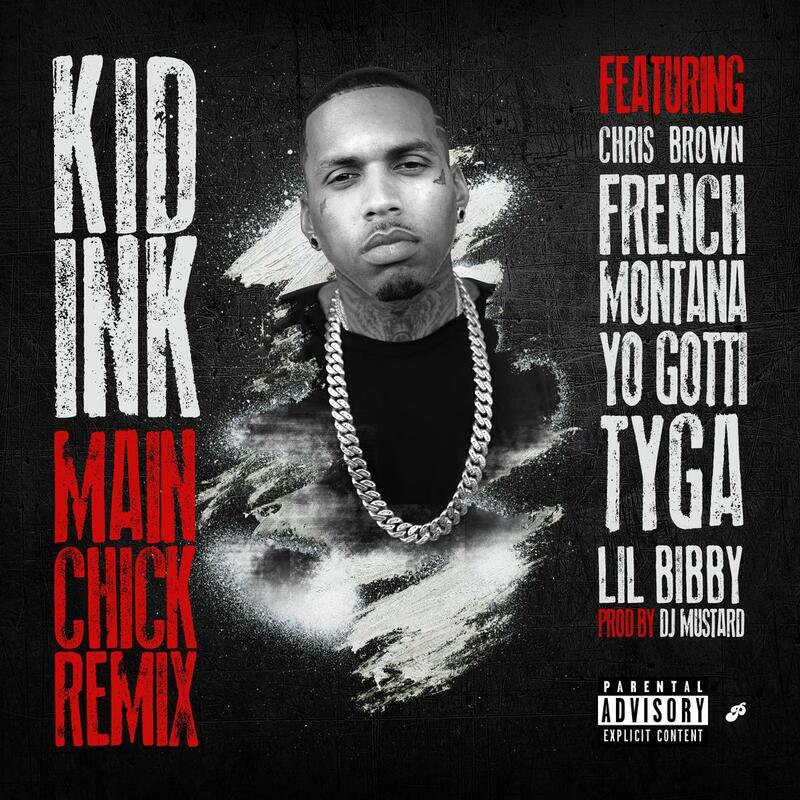 We already heard one remix featuring Fan Of A Fan collaborators Tyga and Chris Brown, but now French Montana, Yo Gotti and Lil Bibby have been added into the mix. This follows up Ink's own remix of the Rae Sremmurd track "No Flex Zone," which we premiered at the end of June. Are you feeling this remix of "Main Chick"? If you've yet to cop My Own Lane you can head over to iTunes.